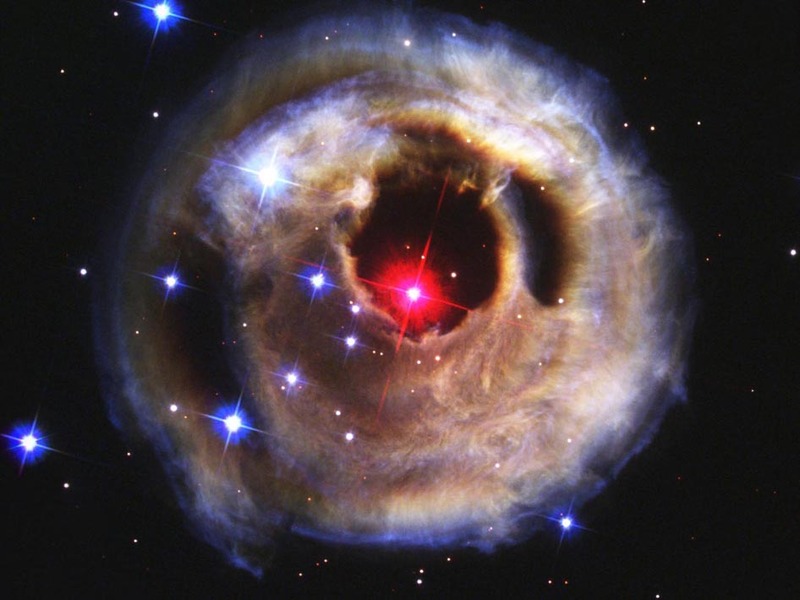 NASA has released this incredible time-lapse video showing the enormous explosion of a red star called V838 Monocerotis, located some 20,000 light years away. In January 2002 the outer surface of V838 Mon suddenly increased its brightness 600,000 times more than our sun to become the brightest star in the Milky Way Galaxy. 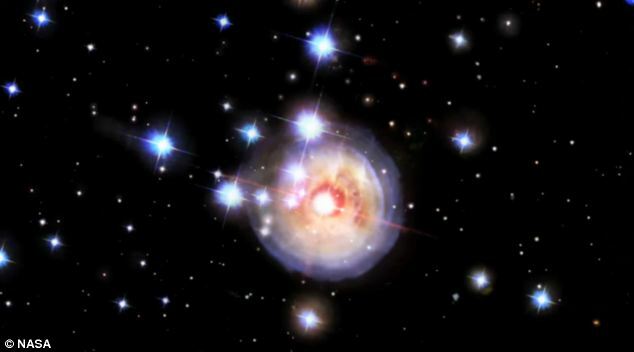 V838 Mon lies about 20,000 light-years away toward the constellation of the unicorn (hence the name Monoceros). The images captured by NASA’s Hubble Space Telescope were taken at multiple times between 2002 and 2006. The star continues to puzzle astronomers; they still have no idea what caused the stellar explosion on V838 Mon. As it burst, light from V838 traveled through the dust surrounding it, then reflected back to Earth. Due to this indirect path, the light arrived at Earth months after light from the star started its journey. 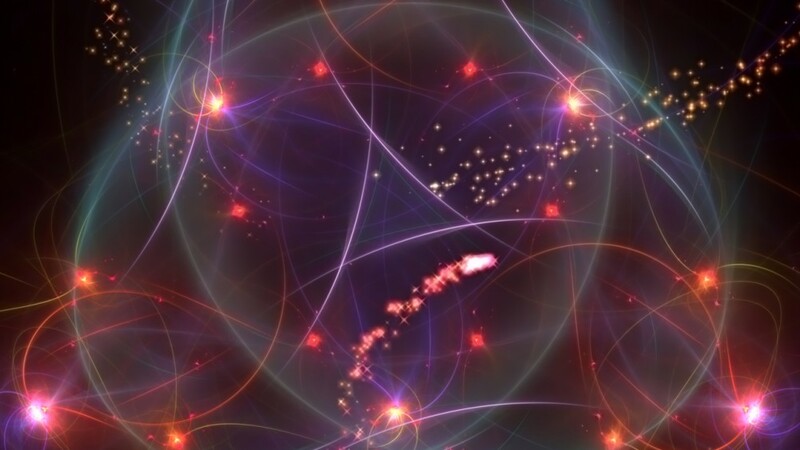 Light travels at a rate of 186,000 miles per second (nearly 300,000 km/sec), giving an indication of how vast space is compared to the speed of light. 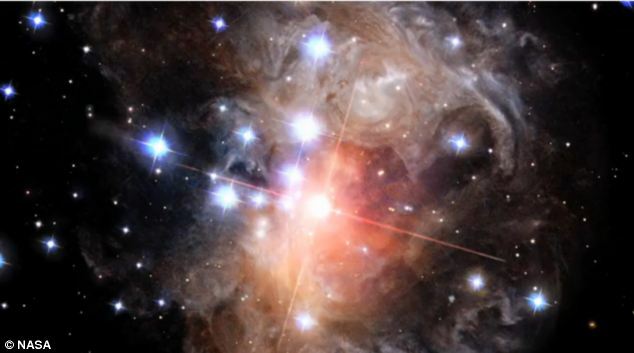 The six panels in the above picture show a time sequence of light echoes from the 2002 eruption V838, as light from the eruption reached and illuminated the star’s dusty surroundings. The video below shows four years of time-lapse photos from Hubble. What’s visible is not a star exploding, but the movement of light from the star as it bounces off dust and reaches us on Earth.